This post has 2,963 views. My family has finally gotten into the whole tablet craze that has heated up over the last few years. One of my relatives was kind enough to give an old, first-generation iPad to us and we’ve played with it for a two weeks. My family likes the thing so far, and Apple’s iOS is pretty intuitive and user-friendly that even my parents have figured it out without too much help. So far, my mother and I mostly use the iPad to play games, particularly Bubble Mania which we take turns playing everyday. I also installed the usual big name tablet games such as Fruit Ninja, Angry Birds and Temple Run, but the free versions of Angry Birds have too few levels while Temple Run and Fruit Ninja rely too much on twitch reaction and they get old really quickly. Bubble Mania, on the contrary, can be played slowly and deliberately, and the game changes and gets more difficult as we move through the levels. The fact that the game makes you stop and “recharge” energy after losing a certain number of times is actually a plus in my books since it stops me from playing the game for too long. Other than games, the only real use for the iPad is for surfing the internet. It does the task fairly well, but everyone in my family has a computer and we all prefer the larger computer screens and keyboard/mouse combo, so the iPad doesn’t get used for internet browsing very much. I suppose the iPad would be good for internet surfing while traveling since it is smaller and lighter than even the lightest laptops. In related news, I’ve had a smartphone for more than half a year now. I’ve had an iPhone 4S since May, and I’m not sure why I haven’t written a post about it. The 4S is the first smart phone I’ve ever had. iPhones are popular partly because a lot of people think Apple products are cool, but after using my iPhone for a while I can say that iPhones are genuinely pretty good products. As mentioned before, Apple’s software is pretty easy to use and smooth, and the whole product is nicely packaged and presented. Unlike the iPad, I don’t really play games on my iPhone, and I don’t browse the internet with it because the screen is too small. Other than using the iPhone as a phone (for calling and texting), my next most common uses are to check email, take pictures, and use it for navigation. I don’t have a stand-alone camera, and I have even less motivation to get one since the 4S’ 8MP camera is quite decent for simple point-and-shoot. If I ever want to get into photography, I’d buy a compact-system or DSLR camera with interchangeable lenses. The 4S, with Siri is also quite good for finding directions and places while walking around during travels. Google Maps has always worked pretty well for this purpose. I’ve tried Apple Maps, and it sucked, at least when it came to finding walking directions. While in Boston, I tried finding walking directions to a subway stop that was within half a mile of our location and Apple Maps could not find a walking route to get us there. Needless to say, when Google Maps was released for iOS 6 I immediately downloaded it. That’s it for my random two cents on technology products that I’ve been late to adopt. My parents will keep the old iPad, and I don’t think I’m going to buy a tablet for myself anytime soon. As the iPhone, we’ll see what happens when my current cellphone contract ends. It’s possible I might get a new phone and give the older phone to my parents, but that’s still a year and a half down the road. This post has 8,903 views. Having not bought a video game console for more than seven years, my family finally caved in and bought a Nintendo Wii two months ago. 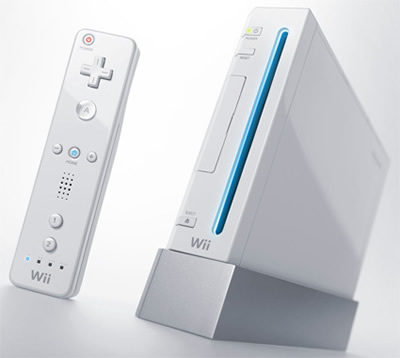 Originally it was my mother who wanted the Wii because of the good things she heard about it, but as expected I ended up being the one who uses it the most. We only have the console and Wii Sports for now, and here are my impressions after playing for two months. This post has 19,991 views. Here is a position paper that I had write for one of my university courses. The subject is about whether if violent video games promote real-life aggression, a topic that is riddled with controversy so it’s always fun to talk about. I took the “no” stance for this paper, although I think this topic is a lot more about opinions than facts. Take a look if you are interested. This post has 11,746 views. The original Total Annihilation is one of my favorite strategy games. I spent a lot of time playing it back in the days when I still had the time to play games. TA is pretty famous for its large number of units and support for user created content. I originally wanted to create a website dedicated to this game but that plan kind of got sidetracked. However, I did create a walkthrough to the single player campaign. Since I don’t want my “hard” work to go to waste, I decided to post this walkthrough up for those people who are interested. TA might be a pretty old game, but it can still be pretty fun. This post has 42,623 views. This article was a project I made for my grade 11 web class. For those for you who don’t know, this guide is about Big Two, a type of card game played mainly by people of the eastern and southeastern Asian origins. It’s a really popular card game at my high school until the administration got an excuse and banned it for good. Originally, this guide was made entirely using Flash, which was cool, but it’s not very accessible, so I later decided to make a HTML version available to those who prefer traditional web pages to Flash documents, but after some time, this new website still didn’t manage to draw a lot of visitors, so I finally decided to include it within my main site instead.